We can help you with advice on Welfare Rights, Benefits & Tax Credits, Housing, Money & Debt Issues. 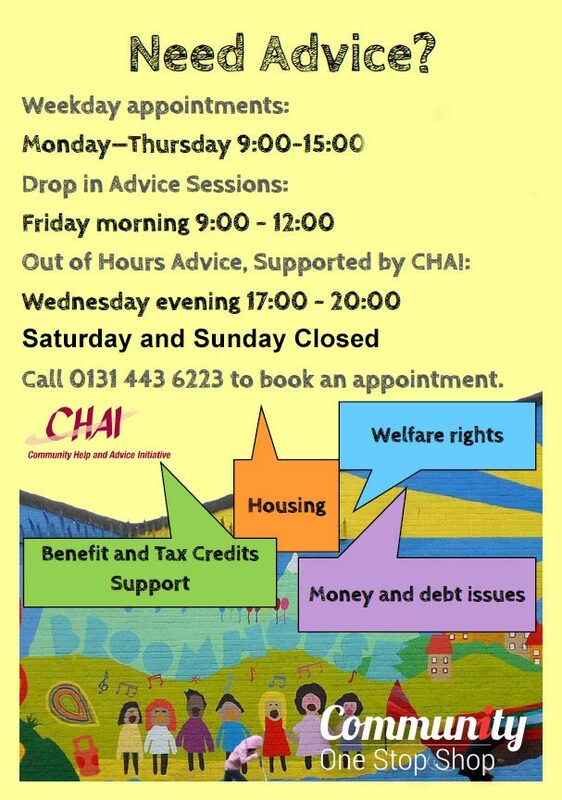 You can either make an appointment or come to drop in advice sessions. There is also out of hours advice. Call 0131 443 6223 to book an appointment.